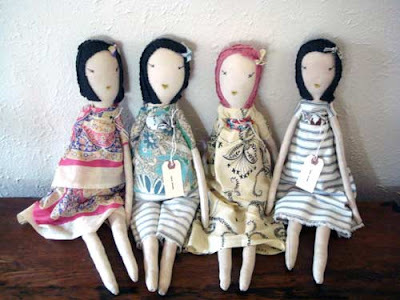 How sweet is this lineup of dolls from Twig. With their little bobs and groovy designer frocks, they all look so...chic. What's sad is that I actually envy a doll's haircut. Seriously.